Vegetable Gardening Tips for everyone. On this vegetable gardening tips site you will find suggestions, quick ideas and vegetable gardening tricks to help you grow a fabulous vegetable garden. Vegetable gardening is a fun way to spend your time, growing fresh tasty vegetables for you and your family to eat and you are promoting sustainability for our planet. If you are a first time gardener start small; with a raised bed in your backyard or a container on your patio. You can make your garden site larger each year as you gain confidence. Gardening is easy and can be even more enjoyable by learning a few tricks. Companion planting - what are the benefits? Crop Rotation - easy to follow instructions. Easy tips for growing your favourite veggie. 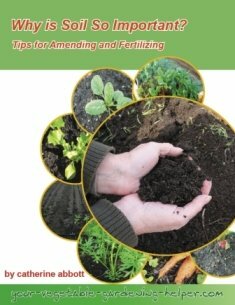 Organic Gardening Questions to help evaluate your garden. Seed Saving - how do I store my seed? For more gardening ideas check out Food from the garden. Please take the time to subscribe to my monthly newsletter "Vegetable Gardening Hints"
I love growing vegetables and feel passionate about teaching others to grow vegetables; I am now offering online coaching. I want to inspire everyone to start growing their own vegetables and to have a productive harvest. a well designed vegetable garden can add value to your home. Enjoy the wonderful food and fun that you can have by starting your own vegetable garden.